The new 2019 Audi A7 is already at the dealerships and it looks most luxurious and useful as never. 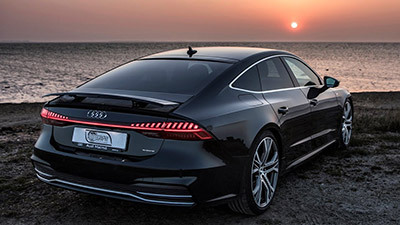 The 2019 Audi A7 is already in its second generation and it continues to stand out in terms of both design and performance. 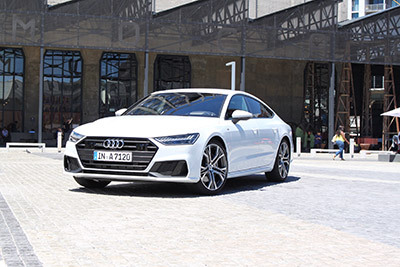 While not all versions are still available (we believe that we will see them later this year), the truth is that the 2019 Audi A7 is a beautiful hatchback. Let’s take a closer look at the 2019 Audi A7 and see everything about it. The 2019 Audi A7 is already at dealerships if you want to take a closer look at. 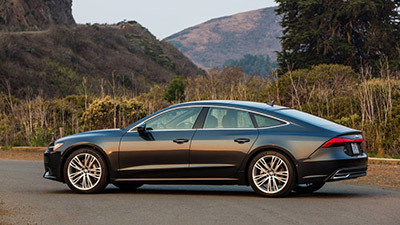 The 2019 Audi A7 is available in three different trim levels – Premium, Premium Plus, and Prestige. The base model of the 2019 Audi A7 will cost you $69,000. While the 2019 Audi A7 is just in its second generation, we can already see some differences. While the basic shape of this luxurious car remains the same, we have to say that there are a lot of different details that make all the difference. On the front of the 2019 Audi A7, you’ll see that the grille is not only lower but it is wider as well. In addition, the 2019 Audi A7 has sharper lines than the previous generation giving the rear more prominence. And since we are talking about the rear, it is important to mention the taillights that are noe running the width of the car. The 2019 Audi A7 is also slightly bigger. However, the difference isn’t huge. So, what will you be able to find under the hood? 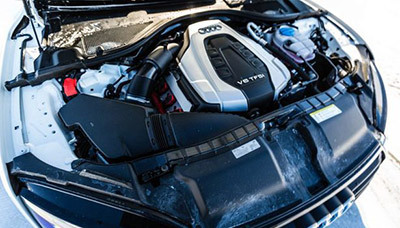 The 2019 Audi A7 now comes with the 3.0-liter V-6 engine that is capable of producing 335 of horsepower and an improved torque of 369 pounds per feet (instead of the 325 pounds per feet that the old generation of the Audi A7 included). In what concerns the transmission, the 2019 Audi A7 also brings a difference. 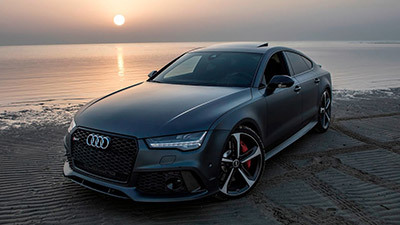 While the old generation of the vehicle used to come with an 8-speed automatic gearbox, the new 2019 Audi A7 now includes a 7-speed dual clutch transmission. When you see an Audi, you already know that the interior won’t disappoint. And this is exactly what happens with the 2019 Audi A7. Even though there are three different level trims, the truth is that the base 2019 Audi A7 already comes with a lot of great features. 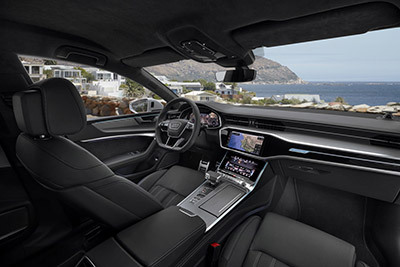 Inside the cabin of the base model of the 2019 Audi A7, you will see an 8.6-inch touchscreen for infotainment that already integrates both Android Auto and Apple CarPlay. Right below the infotainment system, you’ll have a different 8.6-inch touchscreen where you’ll be able to set the climate, use the three USB chargers, among others. Within the base 2019 Audi A7 model, you also have the option to have heated front seats, keyless ignition, and automatic emergency braking. As we already mentioned, the automaker didn’t forget about safety measures. So, you can expect to take advantage of the surround view camera, adaptive cruise control, active lane control, automatic emergency braking, and matrix headlights.